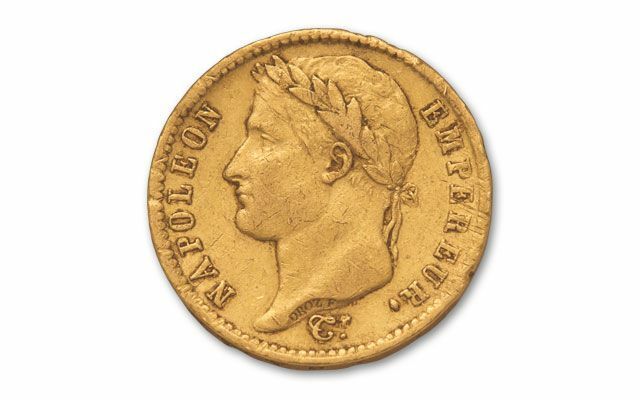 Finding any quantity of Napoleon Bonaparte 20 Francs is a daunting task today. 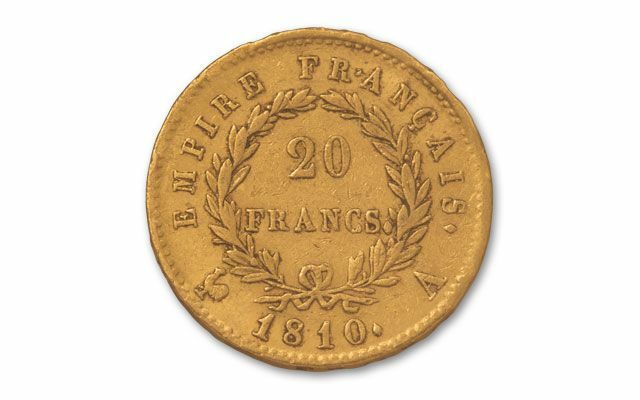 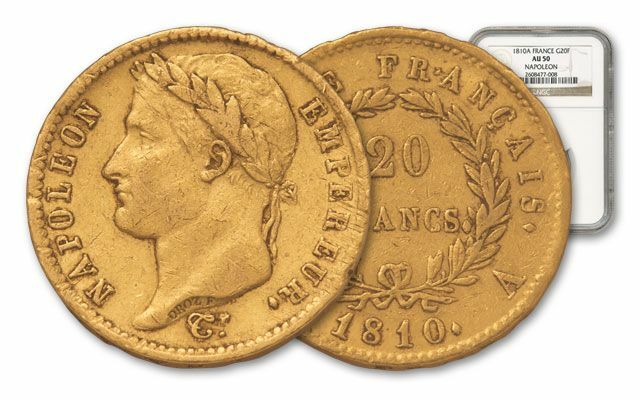 With much effort from our buying team, we have only been able to stock a limited supply of vintage 20 Francs struck from 1803-1815. 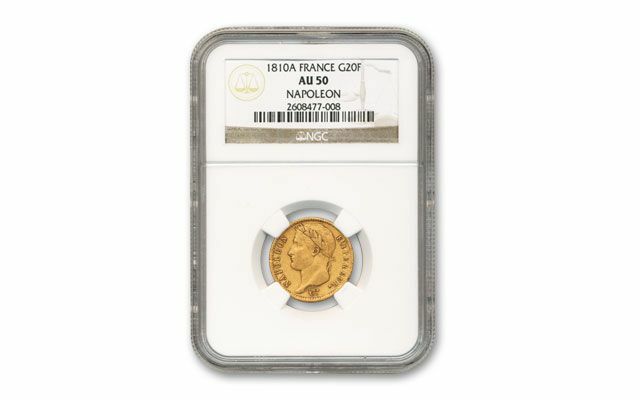 Even though these circulated very heavily, each of our coins is deemed authentic and genuine by NGC and certified AU.